anticarbonation wall paint; it is waterproofing with great breathability. Standard color: light grey or white. 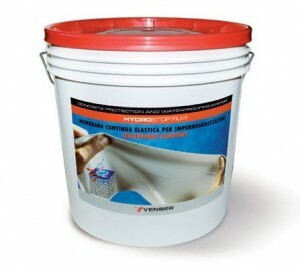 Waterproofing membrane for interiors, exteriors and undertiles for: baths, balconies, swimming-pools and tanks. Decorative anticarbonation, waterproofing paint for cement based substrates. Very good waterproofing and carbonation protection, universal, flexible, elastic, very resistant on the outside, ready to be used membrane.